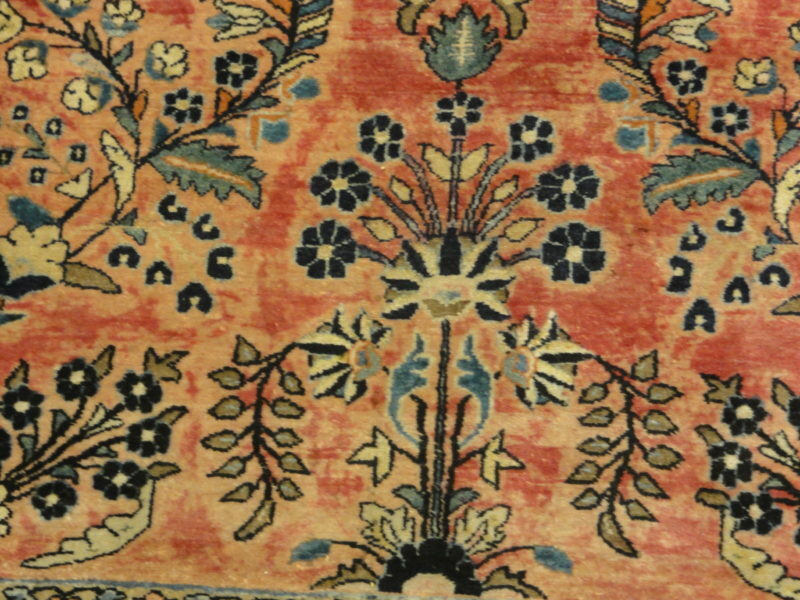 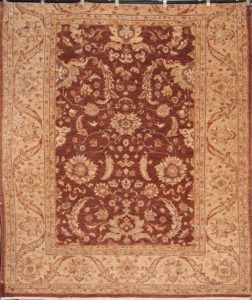 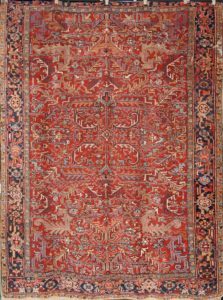 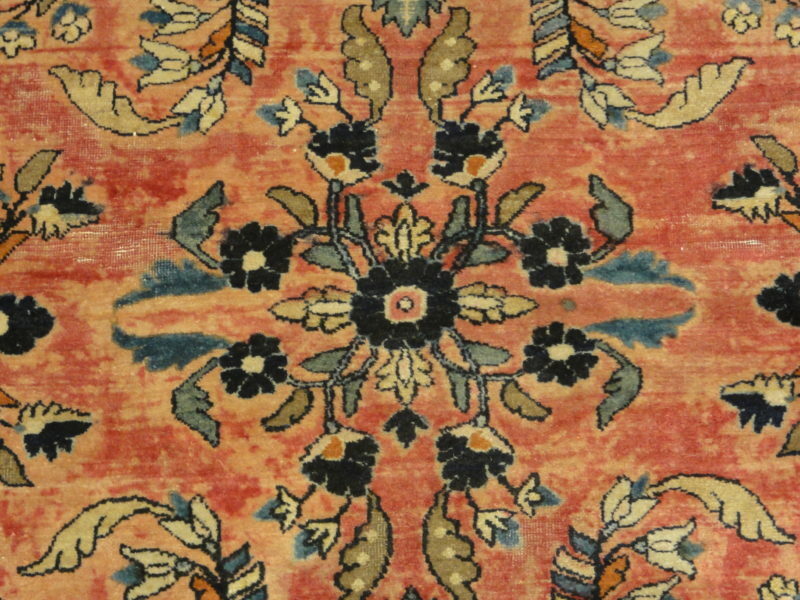 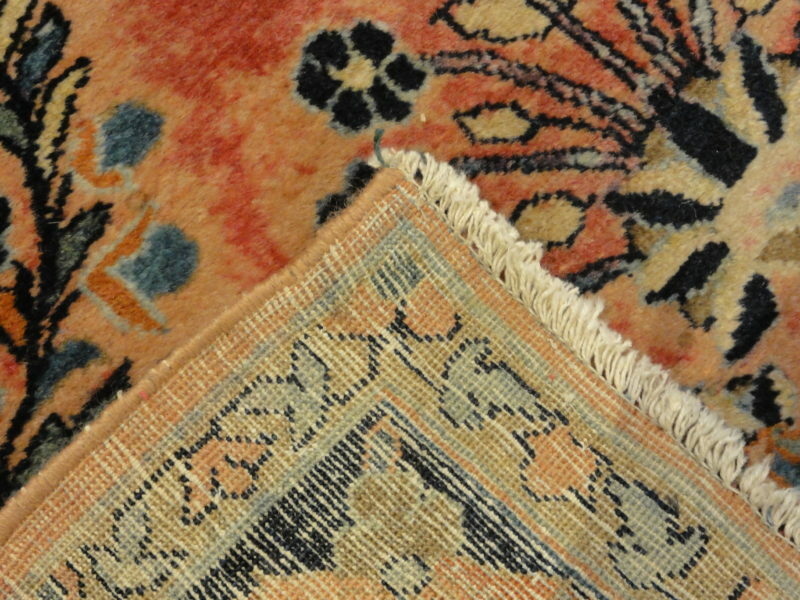 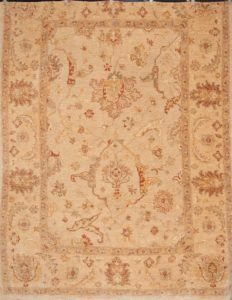 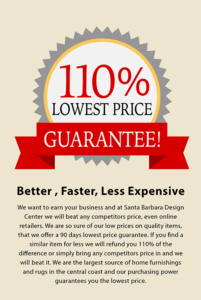 Antique Sarouk rug are among the most luxurious classically derived, room-sized Persian carpets. 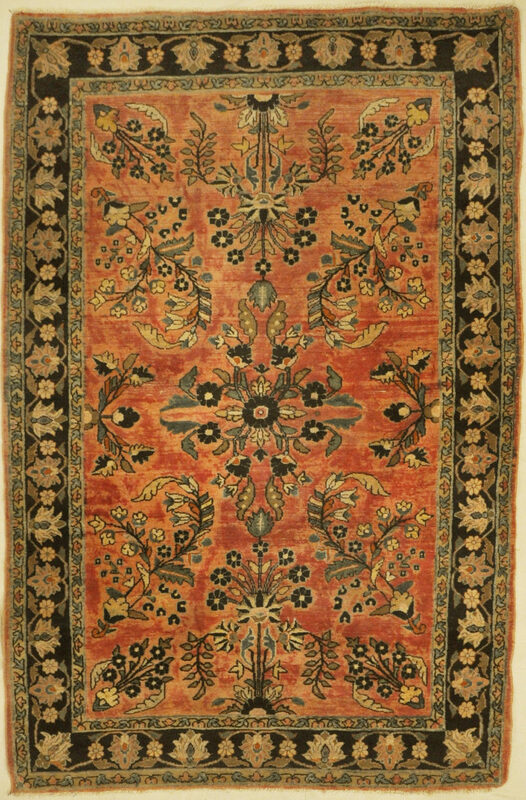 Hand made of natural wool and dyes. 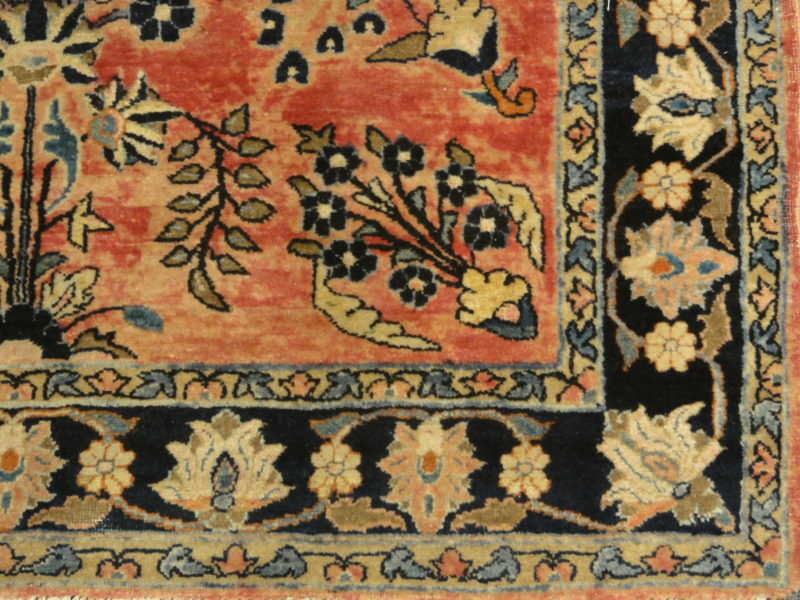 The allover floral garden of paradise design customary on so-called Sarouk-Farahans is classically Persian, as is all the minor detail.